Duration: 2 Months Career Option: Motion Graphic Expert. Broadway Infosys Nepal Offers an extensive course of 2D and 3D tools for developing Motion Graphics and VFX Projects for those who have proficiency in Graphic Design courses. We also have regular Graphic Design Short Courses for those who want to develop the foundation for Motion Graphics in a shorter time. Motion graphics or typographical animation was widely used techniques in making and promoting the movies, documentaries, TV shows, corporate presentations and so on. Motion Graphic has been used popularly by the industries to develop films and television shows for many decades. Different elements in a project would be animated in various methods and techniques as per the features of the used software. These items like Text, Photos, Sketched artworks, video clips, objects or still graphics are transforming in a motion sequence to appear over a specified time in with attractive effects and motion. 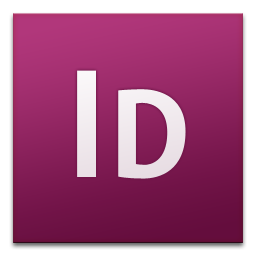 Motion Graphics applications include Adobe After Effects, Nuke, Autodesk Combustion, Max, Apple motion and some other software. Similarly Maxon Cinema 4D, Autodesk 3Ds Max, Maya, etc. are mostly used 3D programs used in Motion Graphics. 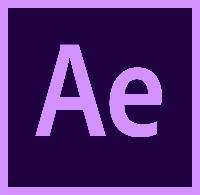 However, In our course, we go through the course of Adobe After Effects and Nuke along with the Adobe After Effects Tutorials. This Motion Graphics training in Broadway Infosys Nepal would lead the learners into the real scenario of computer-generated motion graphics and multimedia animation. The course is developed to enable learners to begin with storyboarding and visualize the motion of different elements to generate multiple animations. Courses designed as per the demands of emerging market trend of Motion Graphics. If you are adoring about creating elements, imagine the story, visualizing the motions of the items you design, then this is the course for you. We request you to contact us at your convenience time via phone, email, our online contact forms or through our social media pages on Facebook, LinkedIn, and Twitter to secure your seat for an upcoming Motion Graphics training session. Or share us your details, we will make a call or write.